Day 2. Before starting a long day, we had breakfast in a luxury dining room at the hotel. It recalled those days when people –the very rich ones- used to vacation in these health resorts, now converted into vintage hotels. 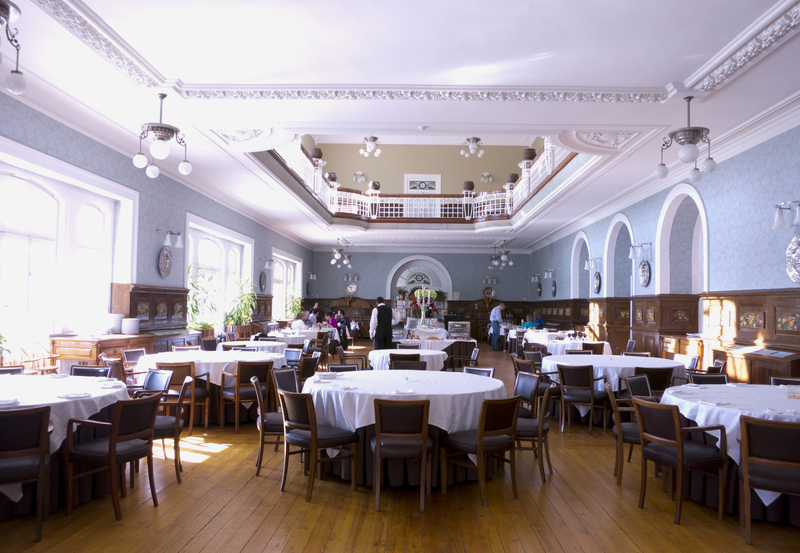 It reminds me those years I spent in India, sleeping in horrible hotels but, on occasion, spending some days in this kind of old fashioned, vintage English hotels with plenty of charm and character. Old books and photos, some trophies scattered on the shelves, the smell of the furniture, that sound of the steps on the wooden ground… If one pay attention to the ambience, one can feel the soul of the people walking to and fro, smoking a cigar, discussing private issues and being immortal for a few moments. But let’s start a new exciting day! We moved to the Luis Pato’s winery, at the DOC. Bairrada. Mr. Pato produces a wide range of wines, from sparkling ones to a sweet one, including some very special wines, such as a Noir de blanc (a rosé wine produced from white grapes with the addition of a percentage of the skin of red varieties; or the use of Cercialinho (Cercial de Madeira x Alvarinho) to increase the acidity -a grape variety exclusively produced by him-. 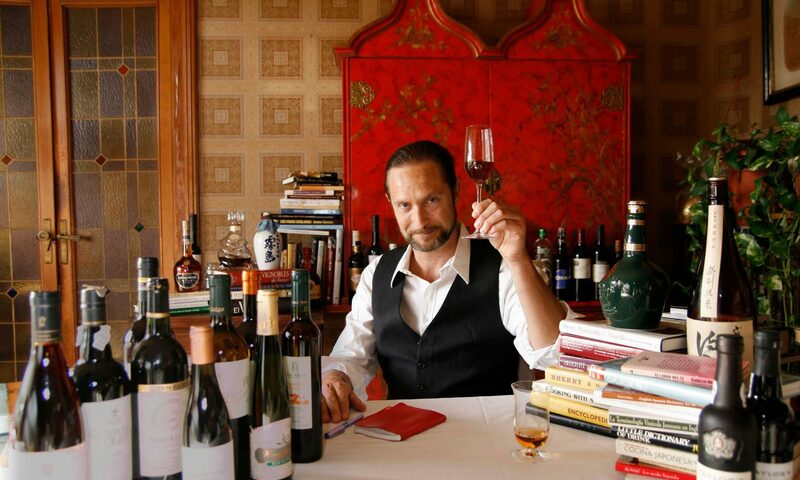 He was the first one to use the expression “vinhas velhas” (old vines) when labeling a Portuguese wine. Besides that, he is a great supporter of the Baga, a red variety difficult to work with, but very rewarding when treated properly. 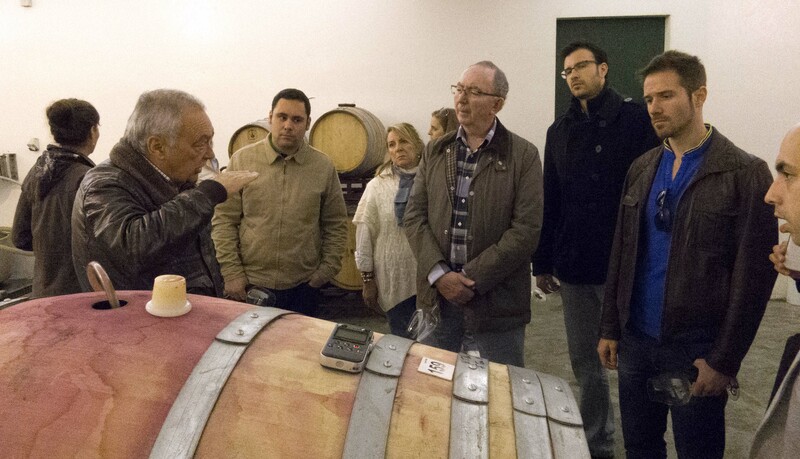 We tasted several wines directly from the pipa (the type of barrel used locally) -a very good exercise to understand the intent of the winemaker, and at the same time what the wine will become in the future-. After that, we tasted three single grape variety sparkling wines, four white wines, two red ones and one sweet one. In my opinion, two of them stand out: Luis Pato Vinhas Velhas 1998 and Luis Pato Bical 2003. Two terrific white wines that make me think about the possibilities of the Portuguese wines for ageing. 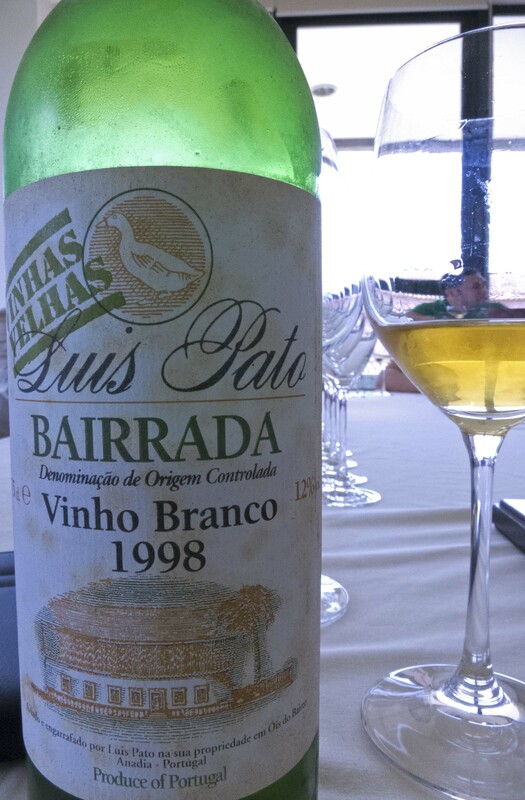 The Luis Pato Vinhas Velhas 1998 has a very intense and well balanced smell. It is exceptionally fragrant and perfumed, plenty of tertiary aromas. On the palate it is complex, with an excellent balance and length. The aftertaste lingers with hints of honey and orange marmalade (quite as an old Riesling). It is just wonderful. On the other hand, Luis Pato Bical 2003 is made without addition of sulfites. It has not been clarified nor filtered. The nose is slightly smoky. On palate is very spicy and smooth, with a delicate aftertaste of ripe pineapple. In short, let’s follow these wines for the years to come, because they deserve much more recognition. We had a nice lunch with some typical Portuguese delicacies. 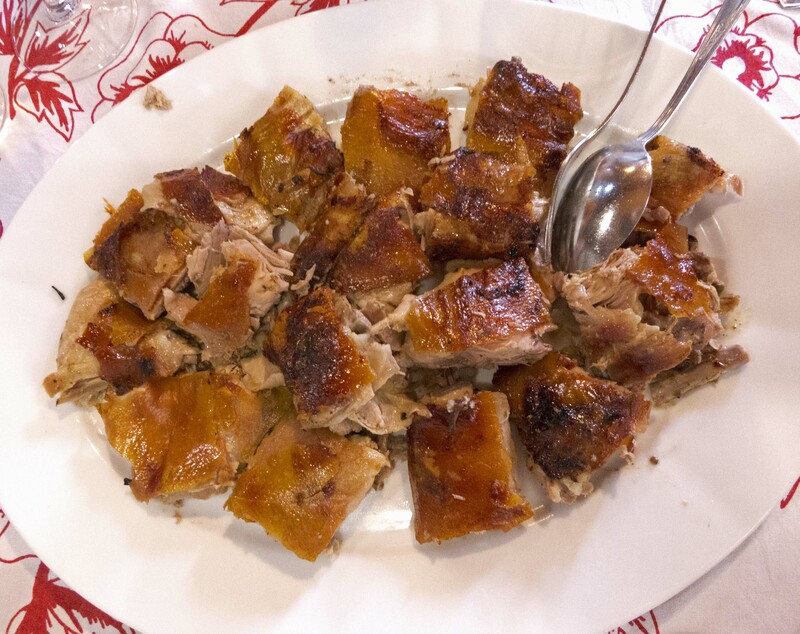 The pork was simply amazing! And we ended with some desserts. I must say that I do not enjoy sweet desserts too much, but these Portuguese ones demand special attention, trust me! We moved south, near Lisbon, to taste one of the best sweet wines made in the world: the Moscatel Roxo de Setubal produced by Bacalhoa. My first sip of this elixir was three years ago in Barcelona. I was having dinner at Restaurante O’Lusitano in Barcelona, and I asked Ricardo, the owner, for a “liquid dessert”. I absolutely fell in love with this wine from the first sight, so it was nice to have the opportunity to taste it at the Bacalhoa headquarters. 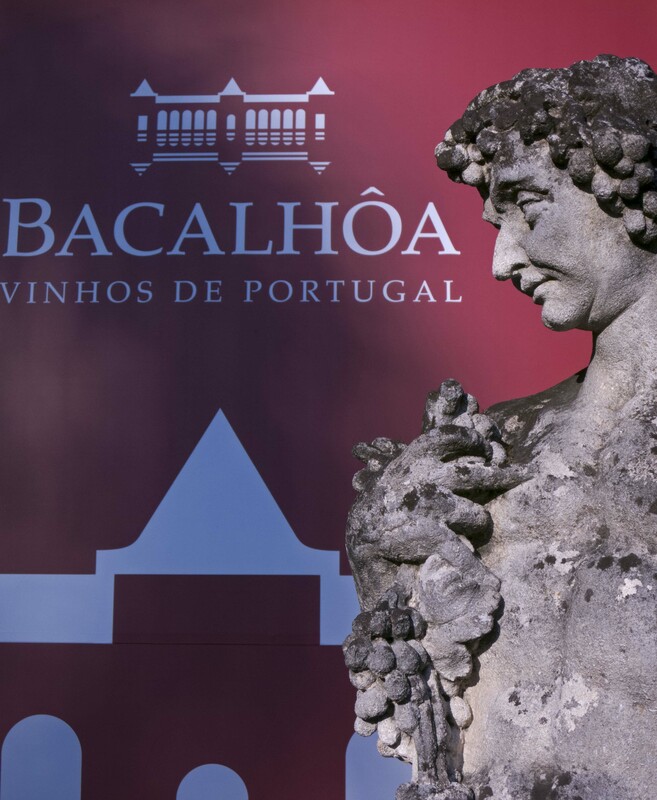 Bacalhoa is the second biggest winery in Portugal after Sogrape. They produce a wide range of wines and spirits, but we only had time to taste three sweet wines: Moscatel de Setubal 2011 (aged 2 years), Moscatel de Setubal 2000 (aged 10 years) and Moscatel Roxo (aged 10 years). The last two of these are smooth, rich and complex, with sugar content above 180 gr/litre. They are great wines that deserve more attention from the public and specialists. 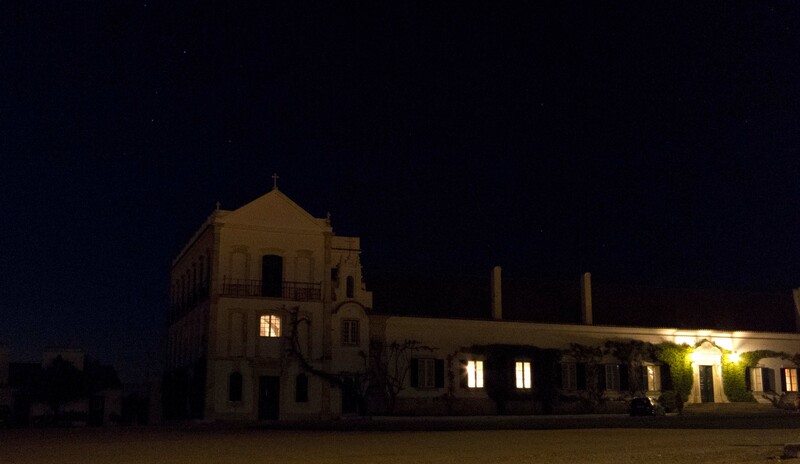 To finish the day, we moved to Alentejo to visit Quinta de Dona Maria , a winery that had a joint venture with Château Lafite for eight years but have been following their own path since the start of the millennium. They are located in a wonderful setting, a place its own spot in Portuguese History (in the mid 18th century King Joao V gave this Quinta to his beloved courtesan, called Maria). 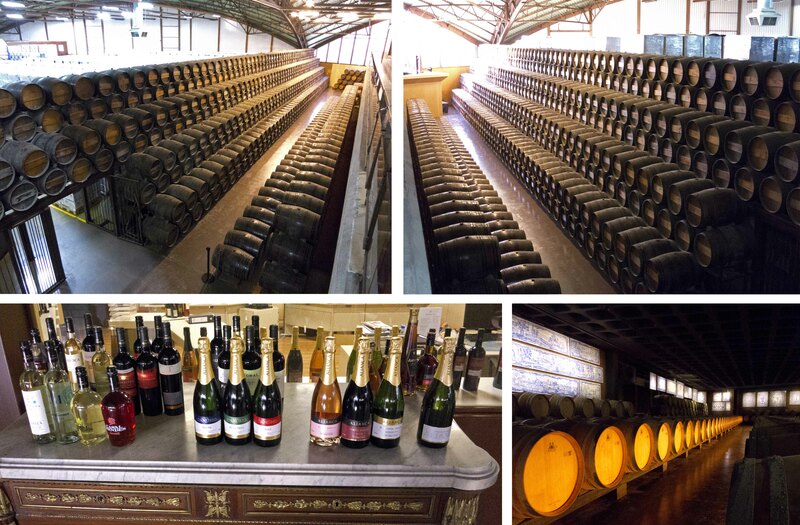 Quinta de Dona Maria has been producing wines for over 130 years, but it was the current owner, Júlio Tassara de Bastos, who started selling to the public in 1986. Dona Maria Rosé 2013 (made from Aragonez and Touriga Nacional), the depth of colour is pale salmon; on nose is complex and intense; elegant on the palate. Good for food pairing (I guess it must be excellent with rice). The Dona Maria Touriga Nacional 2010 (it has hints of rose and violet with a slightly toasted smell; fresh and smooth on the palate with notes of red fruit). 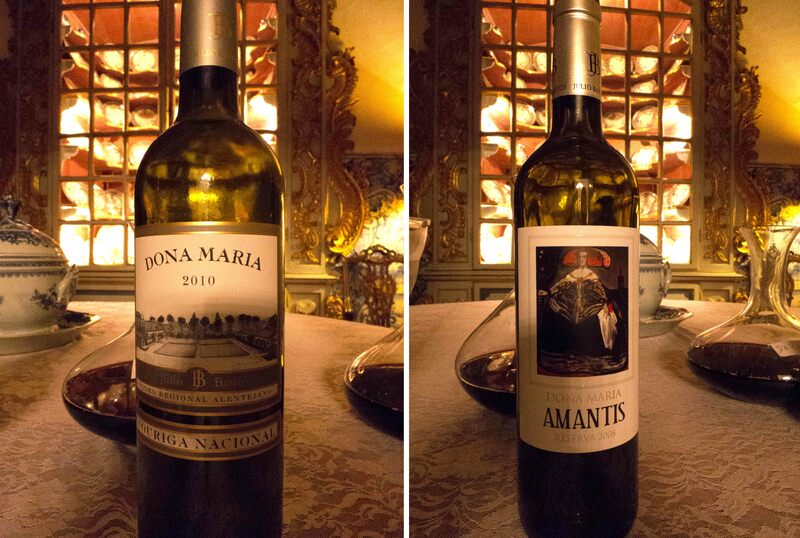 Dona Maria Amantis reserva 2008 (Syrah, Petit Verdot, Cabernet Sauvignon and Touriga Nacional). A weighty and smooth nose, with notes of ripe fruit; smooth and well balanced on the palate, with a balsamic aftertaste. It was really good to wrap up this trip in such nice setting. I would like to come back soon to Portugal to learn more about this fascinating country and its wines!